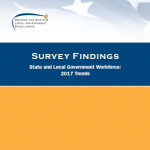 Wages and salaries as a portion of total compensation has been declining (from 67 to 63 percent), as health insurance and defined benefit retirement costs have risen. 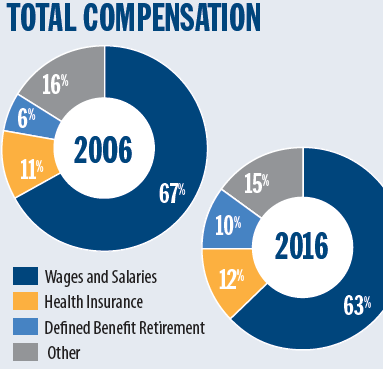 A fourth component of total compensation — other benefits — has stayed relatively unchanged at 15 to 16 percent. 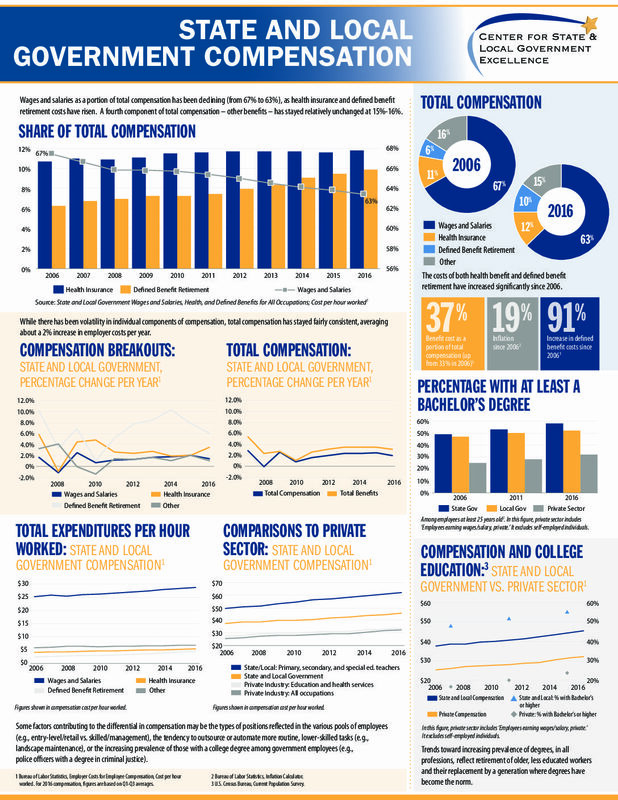 While there has been volatility in individual components of compensation, total compensation has stayed fairly consistent, averaging about a 2 percent increase in employer costs per year. 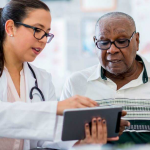 The costs of both health benefit and defined benefit retirement have increased significantly since 2006.